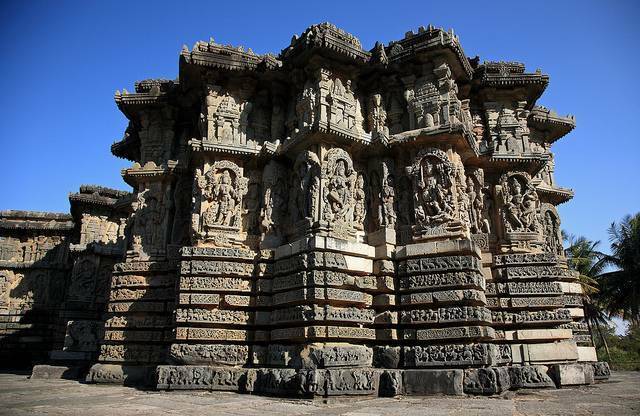 Kedareswara Temple is the other not to miss temple in Halebidu. Some of the sculptures here detail stories from the Mahabharata, Bhagavad Gita and Ramayana. The temple is thought to have first been finished in 1319 AD. The temple has three main parts. The tallest in the central section, the two sections at the sides are smaller. Shaded by coconut trees, this is a pleasant area that is worth strolling in and viewing the temple slowly.